As I mentioned before, I am a cake girl. 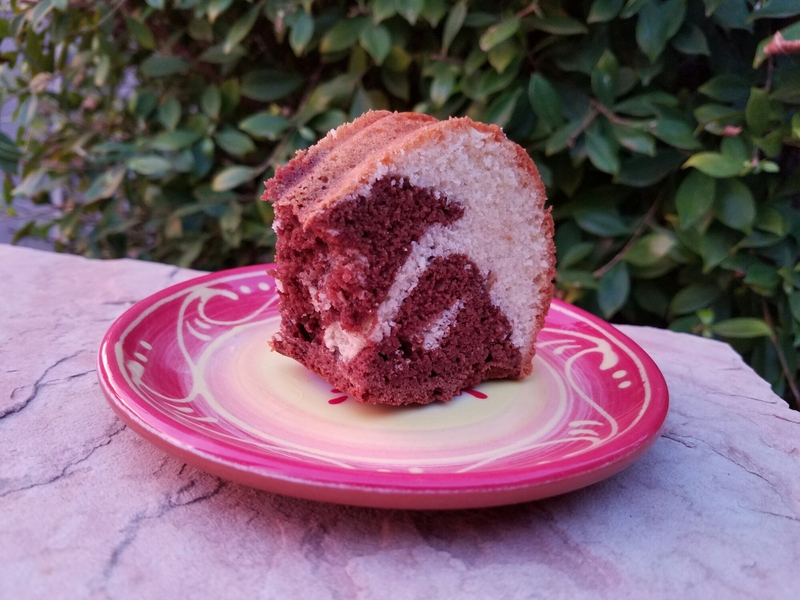 And to me, the quintessence of the perfect cake isn’t a fancy sponge cake with buttercream, or the American all time favorite Red Velvet cake, it is the humble marble cake. I get vanilla, I get chocolate, I get dense and moist but somehow crumbly deliciousness that pairs with coffee as well as with a cold glass of milk, that can be eaten in the afternoon for a typical German “Kaffee und Kuchen”, meaning coffee and cake shared with family and friends along with some gossip, or in the morning as a decadent breakfast, maybe with a dollop of whipped cream and some fresh strawberries. 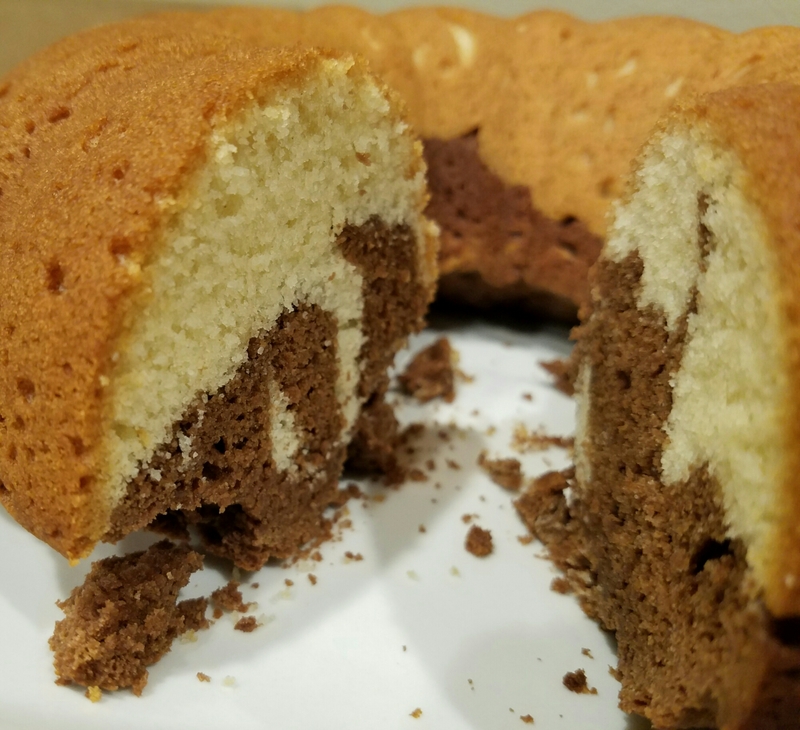 I was craving marble cake for days and today I finally got to make it. Make sure the butter, milk and eggs have room temperature. 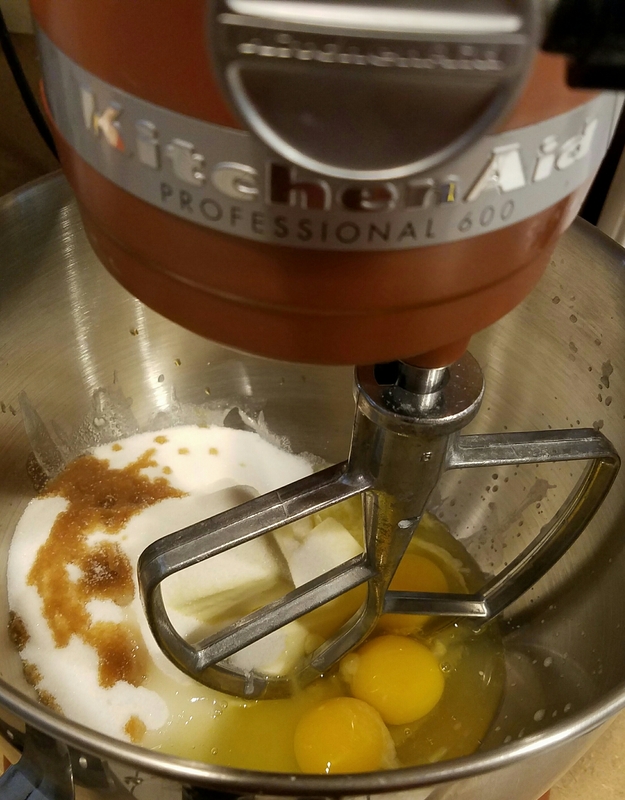 Whisk butter, milk, eggs, 1 1/4 cups of sugar, vanilla extract and salt until smooth and creamy. Slowly add flour and baking powder while whisking constantly. 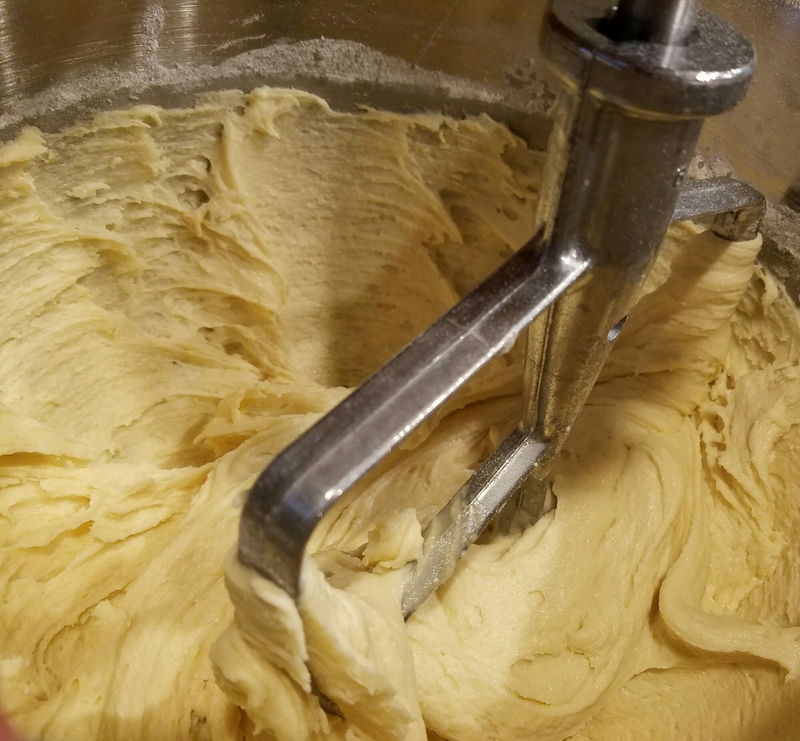 The dough should be very thick, not dripping but falling off the spoon. Generously butter a bundt cake pan and spoon half of the dough into it. 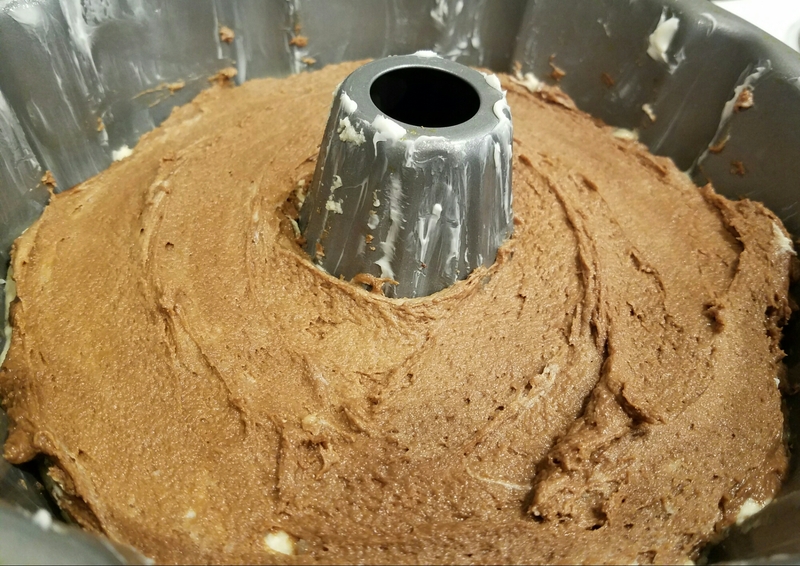 Add the cocoa powder (use unsweetened cocoa powder for baking, like Hershey’s) and 2 tbsp of sugar to the remaining dough and whisk. 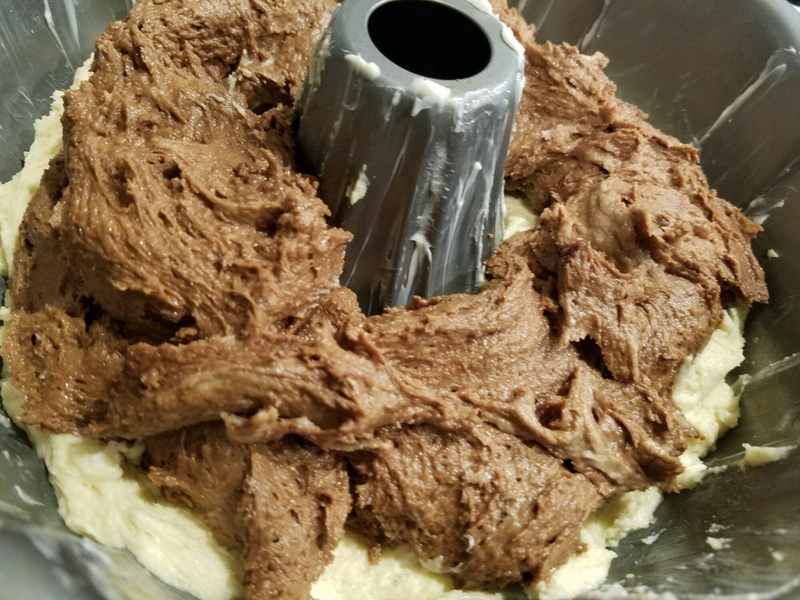 Spoon the cocoa dough onto the vanilla dough. 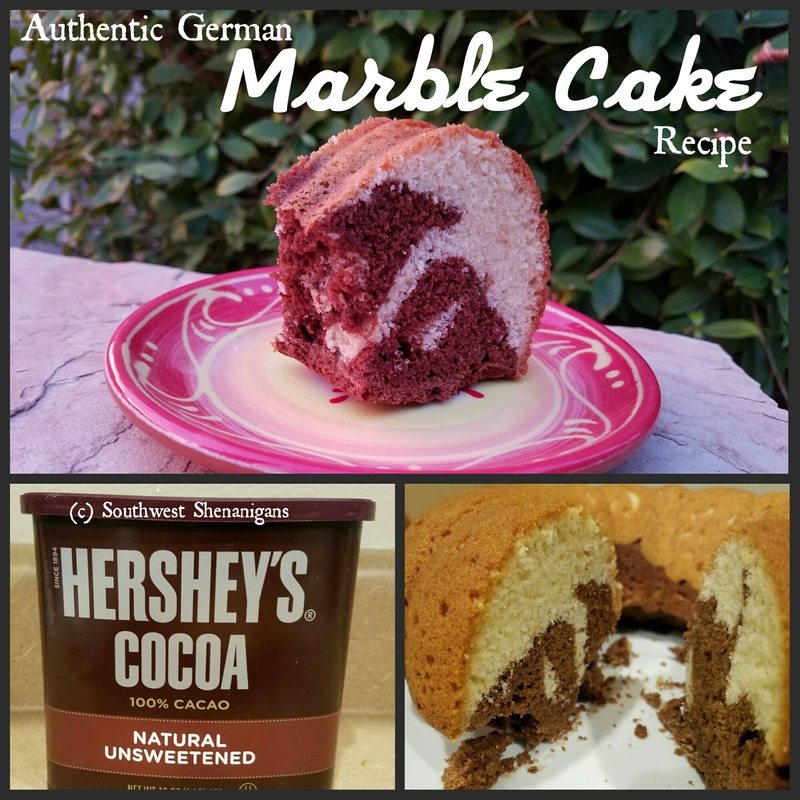 To make the marble effect stick a fork into the dough, twist it and pull it out. Repeat this throughout the whole cake dough. With a spatula smoothen the surface of the dough. Bake at 350°F for 45-50 minutes until a wooden skewer stuck into the cake comes out clean. Let cool, take out of the pan and enjoy! I love to eat Marmorkuchen with just a glass of ice cold milk, and sometimes I dip it into the milk – very rebellious because that was not allowed at the Kaffe und Kuchen table when I was a kid!